The Lake Geneva Fishing Club—meets at Cabela’s, 5225 Prairie Stone Pkwy., Hoffman Estates, IL 60192, the second Wednesday of each month from March through November. Food and beverage at 5:30 p.m., meeting begins at 6:00 p.m. No meetings December through February. The cost for a 2019 annual membership is $50, Family membership (member, spouse & children under 16) available for $70. 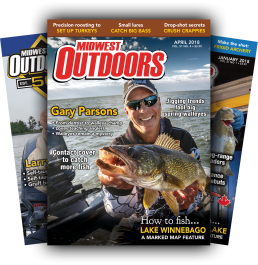 Either membership option also includes a 1 year subscription to Midwest Outdoors Magazine. For information contact Mark O’Neill @ 847-458-7559, or visit lakegenevafishingclub.com.